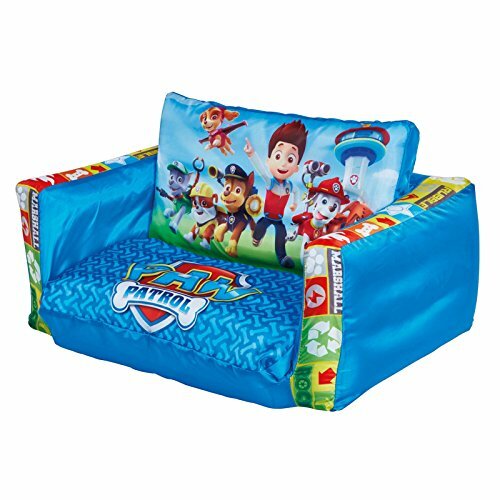 This Paw Patrol Flip Out Sofa is a great addition to any bedroom or playroom. The colourful sofa features a great image of Ryder, Chase, Marshall, Rubble, Rocky, Zuma and Skye with the Paw Patrol logo on the seat. Use the sofa during the day to watch your favourite films and then in the evening extend the seat to create a comfy flip out lounger bed ideal for sleepovers!